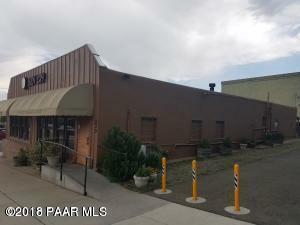 Check out this Rare Opportunity to Purchase this full-service restaurant & bar building in downtown Prescott. 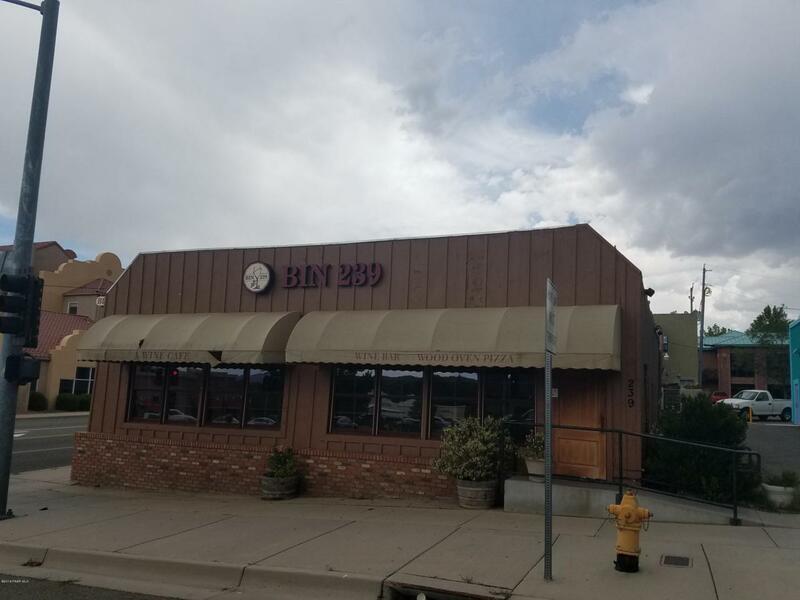 The owners of BIN 239 have retired and closed for their business in July of 2018 having been in business at this location for over 15 years serving lunch & dinner. The restaurant is being offered for sale at $475,000 or $153.42/sf. In addition to the purchase price, the former business owners are willing to sell all of the existing furniture, fixture and equipment for a lump sum price of $27,000. The restaurant facility totals approx. 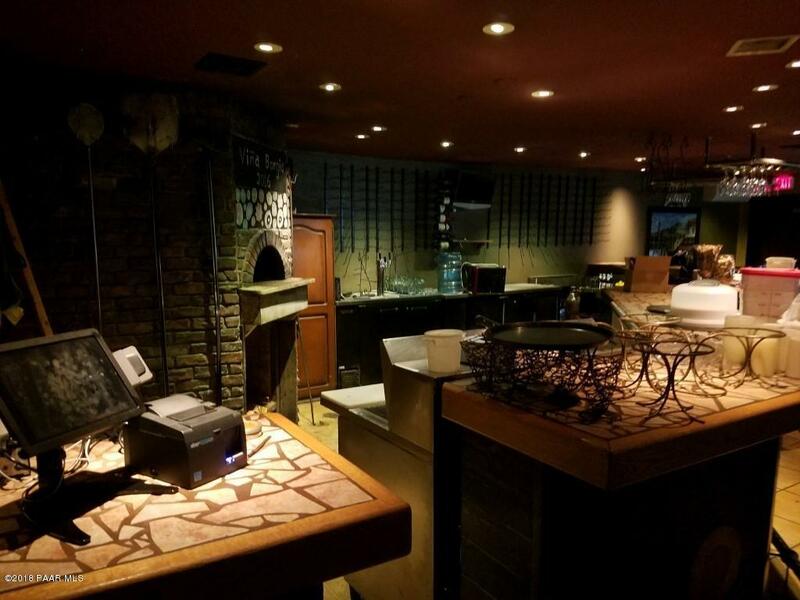 3,096 sf and includes a main dining rooms (80 seats), a bar (12 seats), a private dining room (12 seats), outdoor patio dining (35 seats), private office and a limited service kitchen prep area and dish washing/storage area. CLICK the MORE TAB...Check out this Rare Opportunity to Purchase this full-service restaurant & bar building in downtown Prescott. The owners of BIN 239 have retired and closed for their business in July of 2018 having been in business at this location for over 15 years serving lunch & dinner. The restaurant is being offered for sale at $475,000 or $153.42/sf. In addition to the purchase price, the former business owners are willing to sell all of the existing furniture, fixture and equipment for a lump sum price of $27,000. The restaurant facility totals approx. 3,096 sf and includes a main dining rooms (80 seats), a bar (12 seats), a private dining room (12 seats), outdoor patio dining (35 seats), private office and a limited service kitchen prep area and dish washing/storage area. The dining room offers a cozy/warm atmosphere and features a fire place. The bar area offers an exhibition wood burning oven. Off-site street parking is available along Marina St. Please not that there is not a kitchen hood or grease trap in this facility as all of the cooking was done in the woodfire oven.